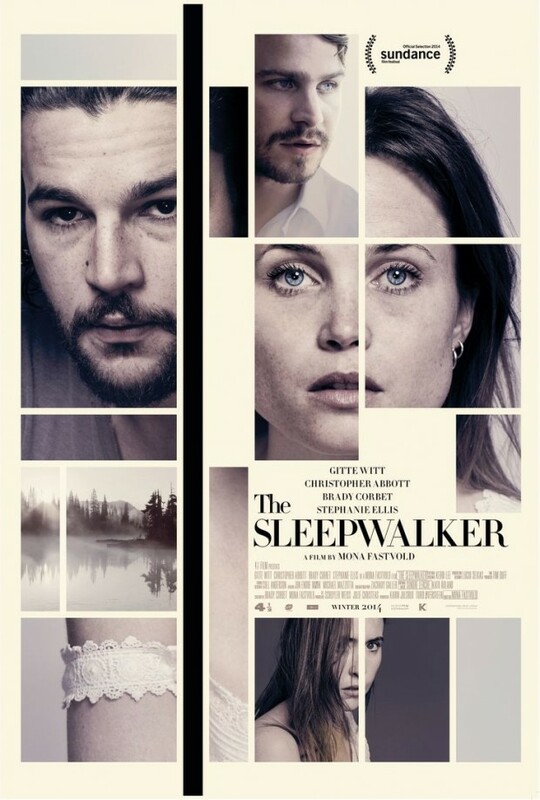 One of the more intriguing films I saw at Sundance this year was The Sleepwalker, a psychological drama directed by Mona Fastvold, who co-wrote the film with star Brady Corbet. Following two sets of couples under one roof and a secret that entangles them, it also stars Girls‘ Christopher Abbott, Gitte Witt, and Stephanie Ellis. We said in our Sundance review, “Clearly inheriting its thematic ambition from the old adage of “less is more,” The Sleepwalker takes a good long while to do not too much, and although the journey is riddled with some beautiful lensing, top-notch acting, and a very memorable score, the audience is left wanting more.” While it might not satisfy, there’s enough to pull one in, as evidenced in IFC Films’ new trailer (which is actually virtually the same one released before Sundance, but we’re highlighting it ahead of the release this month). Check it out below along with the poster. Shocking family secrets shatter a woman’s quiet country life in this psychosexual thriller. Young couple Kaia (Gitte Witt) and Andrew (Christopher Abbott) spend their days restoring her family’s sprawling rural estate. Their peace is upended one night when Kaia’s emotionally disturbed sister Christine (Stephanie Ellis) shows up unexpectedly, followed by her distraught boyfriend (Brady Corbet). As Christine’s behavior grows increasingly unhinged—including an unsettling incident of sleepwalking—long-buried traumas resurface. With a haunting score by Sondre Lerche, director Mona Fastvold keeps the tension mounting as this provocative nerve-jangler reaches fever pitch. The Sleepwalker hits theaters and VOD on November 21st.